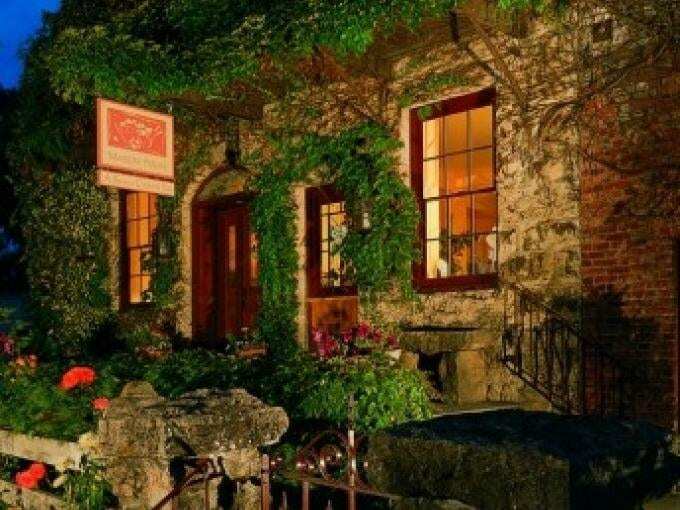 Napa Valley’s Maison Fleurie, the “flowering house,” is situated on half an acre of beautifully landscaped gardens — welcoming visitors to a Napa Valley inn reminiscent of southern France. Finely crafted furniture, rich fabrics, and a huge stone fireplace lend their ambiance to this historic main buidling, where a bountiful breakfast and afternoon wine and hors d’oeuvres are served. This Four Sisters Inn blends the modern luxuries and sophisticated services of a boutique hotel with the traditional amenities and architecture of a B & B.